Cuba exists in a state of suspended animation, poised for a future it can’t yet grasp. The population is better educated than in other Caribbean nations, but to no visible end. Families are relatively healthy, protected by a medical system that sometimes wins praise from the American left, but there are not nearly enough jobs for all the hale and hearty workers. 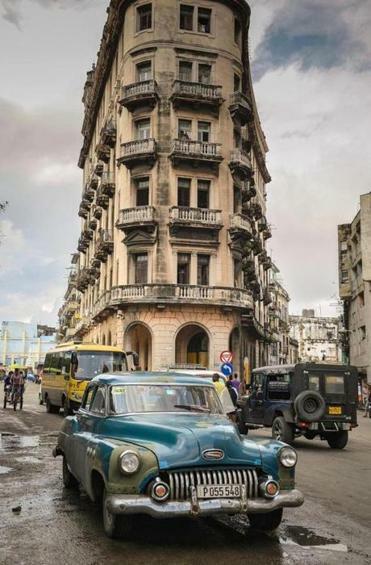 Havana retains the time-warp look and feel of the 1950s, in its cars and architecture, and this seems like a deliberate statement: No country, even one whose economy is as idle as Cuba’s, can resist all change without wanting to. Indeed, the most visible economic energy in Havana is spent on restoring buildings to their Art Deco shine and repainting ancient Studebakers. Fifty-five years later, Fidel and Raul Castro are still fighting the revolution as though it were 1959, relishing in having eight poor families camped out in decaying mansions built for foreign oligarchs, while shunning the consumer goods that separate rich from poor in capitalist economies. The fact that at least some Havanans are reasonably adjusted to their circumstances is, perhaps, a sign of the Castros’ endurance: They’ve stuck with their system long enough to show that countries can advance by measures other than GDP. But they couldn’t get away with maintaining a police state, while justifying basic deprivations like lack of Internet service, without the help of their neighbor to the north. The US trade embargo is the Castros’ best weapon by far, the excuse they feed to their own people for the lack of economic opportunities. It gives the Cuban regime the one thing it can’t produce on its own: a reason to continue the revolution. It’s long past time for Congress to ease the trade embargo, but President Obama needs to lead the way with a reassessment of US policy toward Cuba, explaining to both US and Cuban audiences why better relations would be mutually beneficial. Fidel Castro is 88, and Raul is almost 83. 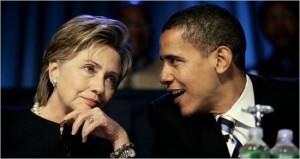 They’ve outlasted their enemies and seem a sure bet to maintain power until they relinquish it voluntarily or die. Cubans understand the actuarial reality and hold Fidel, Raul, and the rest of the “revolutionary generation” in the type of regard usually reserved for those who’ve passed from the scene: They’re willing to forgive the present and color the past in rosy hues in anticipation of a better future. They are concerned about the outlines of that future. The United States, hovering less than 100 miles away, should be, too. The embargo is a Cold War relic that remains unchanged because of politics — domestic US politics. In Florida, the important “swing state” in presidential elections, some Cuban exiles cling to the embargo as revenge against the Castro brothers. It’s a largely personal, single-issue mindset that can’t, and shouldn’t, be disrespected because it grew out of personal experience. Many of these older Cuban-Americans lost land and money in the Castro revolution, while seeing their families torn apart. Some Republicans and Cuban-American lawmakers are criticizing President Obama for shaking President Raúl Castro’s hand at the memorial service for Nelson Mandela. Their reaction to a gesture of common courtesy should come as no surprise given Washington’s senseless commitment to a failed 50-year policy toward Cuba. 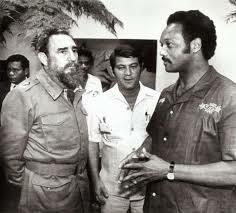 This page has long called for an end to America’s embargo, which has strengthened the hand of Mr. Castro, his brother Fidel and other hard-liners who have used it as an excuse for their disastrous misrule in Havana. And it has hurt the Cuban people whom we claim to want to help. Supporters of the embargo, including Cuban-American lawmakers like Senator Marco Rubio, Republican of Florida, have argued that it gives the United States leverage and should not be removed until democracy returns to the island. The fact that the Castros remain firmly in charge in Havana more than a half-century after President John F. Kennedy instituted the restrictions against Cuba shows how effective that idea is. Mr. Obama took some tentative steps to ease the embargo in 2009 by allowing Cuban-Americans to visit and send remittances to the island. He also cleared the way for telecommunications companies to establish licensing deals in Cuba. But the administration has not pushed publicly for any significant changes since then. The Castro regime has not helped. For the last four years it has imprisoned Alan Gross, a State Department contractor, for distributing satellite phone equipment to Jewish organizations in Cuba. Mr. Castro should release Mr. Gross and the numerous other political prisoners. But at the same time, Mr. Obama should press Congress to end the embargo and overhaul policy toward Cuba.